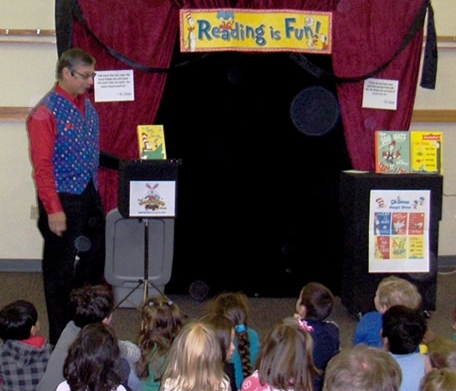 Every year Dennis Thomas creates a new library magic show themed for the Summer Reading Program. In addition to those shows he also offers different shows that promote reading and will have the children wanting to check out books. He even has a Tribute to Dr Seuss Magic Show. If you’re looking for a fun way to bring the children into the library and have them leave with a book in their hands, have Dennis Thomas do a Reading Magic Show.